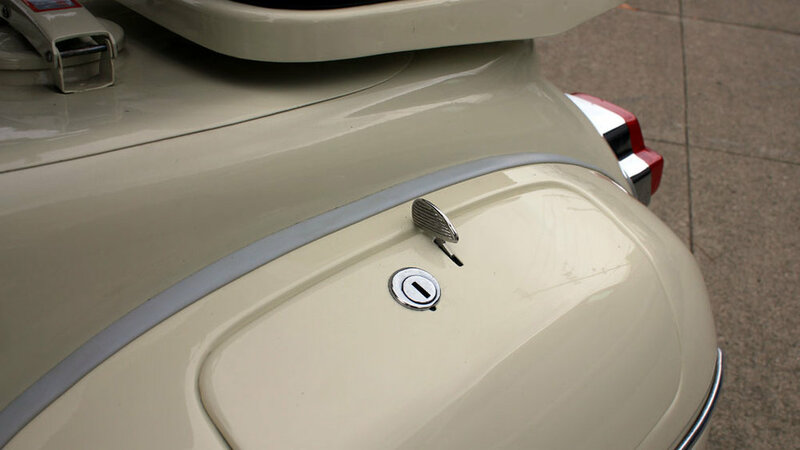 The soft curves and nice trim set it off nicely. We love the trapezoidal headlight and the entire handlebar layout. It has essentially the same motor as in the earlier VBB models, but with taller gearing to handle the 10” wheels. These motors are bulletproof. This really is the sort of scooter that is perfect for getting around the city. 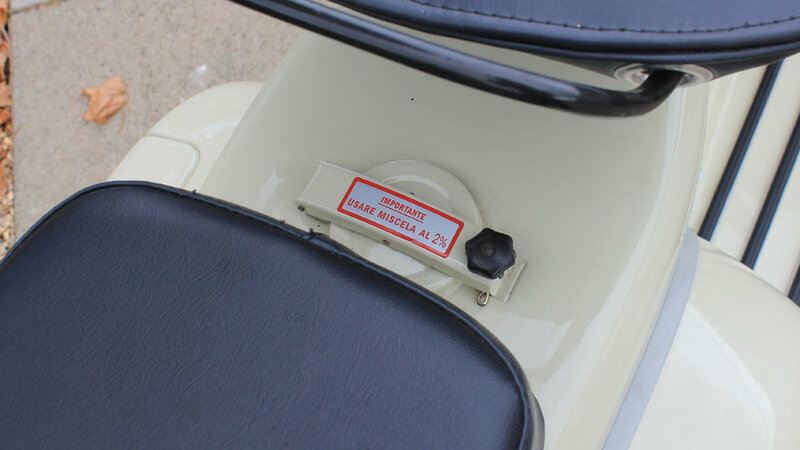 This scooter was restored in Italy before we acquired it, the restoration was done well, and it has a lot of nice details.